Sometimes my readers and I agree about my best writing and other times we totally disagree. I’ve been blogging for a number of years now and continue to learn what makes for a popular blog post. Over the years, there have been some articles that are my absolute favorites, but for whatever reason they didn’t become as popular as others. 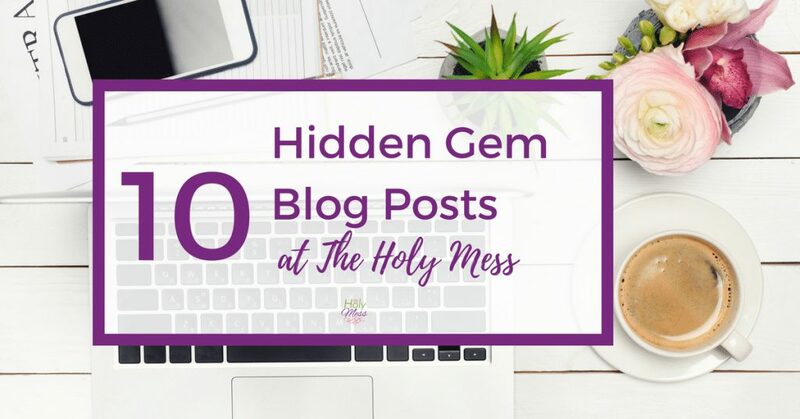 Here are 10 Hidden Gem Blog Posts on The Holy Mess that deserve another look. 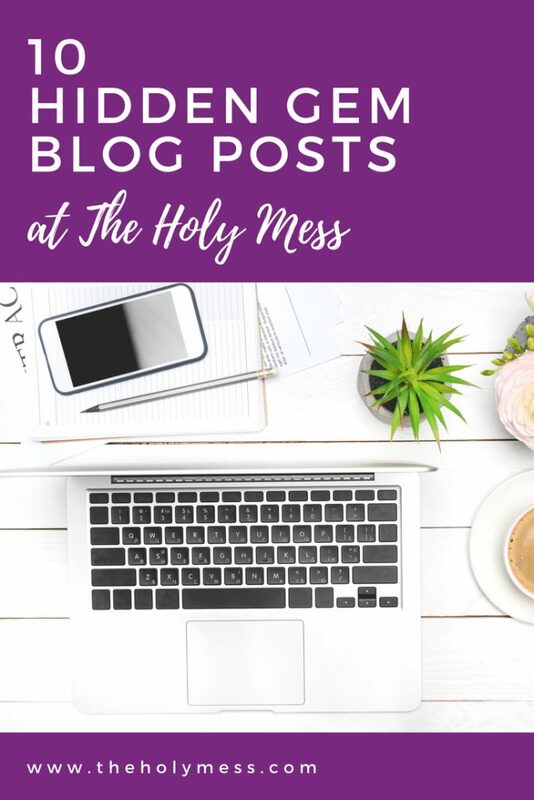 Each of the following blogs are some of my absolute favorites and are worth your time in case you missed them the first time around. Behind this Door – This might be my favorite blog posts ever. No matter where my kids go in life, they will find a welcome home at our door. For When Your Heart Is Somewhere Else – Have you ever been somewhere, but your heart is somewhere else with a person you love? This post is for you. For the Mom at the Slide: When Parenting is Frighteningly Hard – My heart connection moment with a fellow special needs mom. 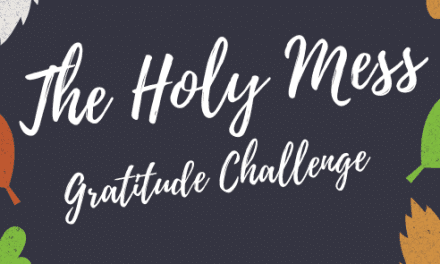 Do This When You Feel Ridiculously Underqualified – Sometimes God calls us places where we feel unprepared to go, but we know He doesn’t call the equipped. He equips the called. Things We Actually Said While Hiking Today – Humor! A day in the life of taking 5 kids out for a hike. I still laugh out loud every time I read this one. The Memory Plant – Jeff wrote this post about the loss if his mom and it touches me every time I re-read it. A Courageous Boy Needs a Brave Mom – My adventure with my pre-teen son and why boy moms need so much courage. The Day at the Museum I Lost My Son Who Has Special Needs – My heart still drops each time I read this one. How to Teach Our Boys About Romance – A peek behind the scenes at my boy’s romantic notions. Residential Treatment: When Holding On Means Letting Go – My thoughts the day we drove our son to a residential treatment facility. These didn’t quite make the top 10 but they are close runners-up. Trusting God with Who You Are – Chris writes about trusting that God made you exactly as you are meant to be. Has America Lost Its Sense of Humor? – How would today’s politically correct world handle Archie Bunker? When We Rebel Against Ourselves and What To Do About It – You say no more junk food and a few hours later find yourself reaching into the potato chip bag. 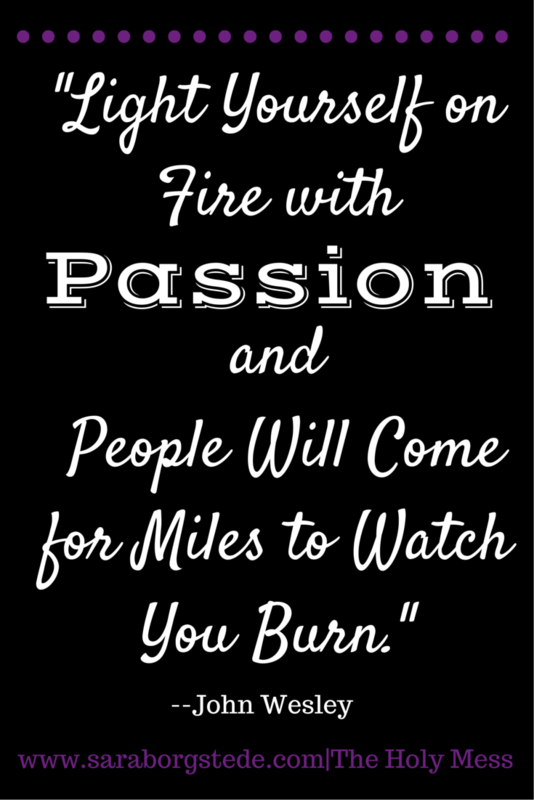 If you rebel against your own good intentions, here’s what to do next. For Parents of a Teen Who Had a Near Miss – The day my teen lived through a dangerous situation, I experienced a crazy range of drastic emotions. 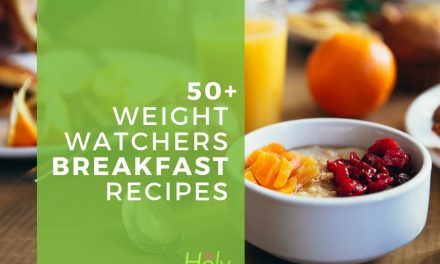 What are your favorite posts at The Holy Mess? Is there one that should be added to the list? PreviousBible Journaling On the Go!